A personal breathalyser is certainly a different Christmas gift; one that’s very practical, may save a loved one’s driver’s licence, a hefty fine, or even their life. 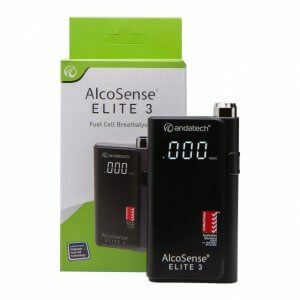 AlcoSense personal breathalysers provide accurate three decimal place alcohol readings and are easy to use, compact and reasonably priced. With a simple and fast one-button operation, AlcoSense breathalysers are especially useful for all drivers to use the next morning to ensure they only drive when their BAC is low. All AlcoSense personal breathalysers from Andatech are eligible for a lifetime warranty covered under the AlcoSense guarantee, which provides drivers with peace of mind that the device will keep providing accurate results time after time. There are 7 different models in the personal AlcoSense personal breathalyser range with prices from $199 to $499. The AlcoSense Elite 3 breathalyser is designed for convenience and portability. Its sleek and compact design makes it easy to carry, and it comes with a case for storing the unit and extra mouthpieces. 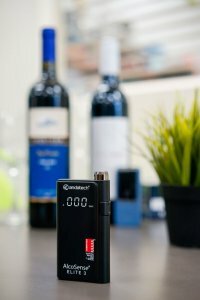 It’s Australian Standard AS3547 Certified for accuracy and reliability, and is an excellent breathalyser for all users.